Royal Caribbean and Partners Welcome you to the Nation of Why Not ! Cruising gives you the freedom and choice to say "why not" to countless new onboard experiences. If you can imagine it-or climb it, ice skate it, golf it, or swim to it-you can find it here. Add to that 281 ports and destinations, with incredible adventures waiting for you in every part of the world. 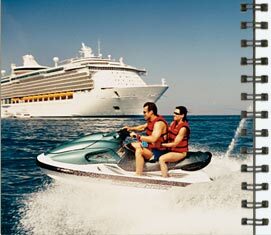 When you think about it, a cruise with Royal Caribbean has so much variety it's like several vacations in one.